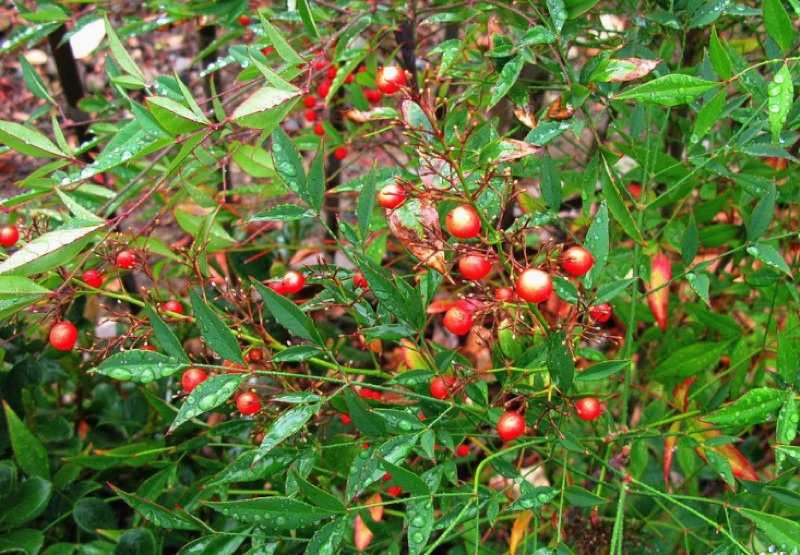 The Nandina domestica plant is a native of Asia. It is widespread throughout the region growing from Japan to as far as the Indian Himalayas. Often grown in the garden for its attractive autumn and winter foliage and for its bushy habit. 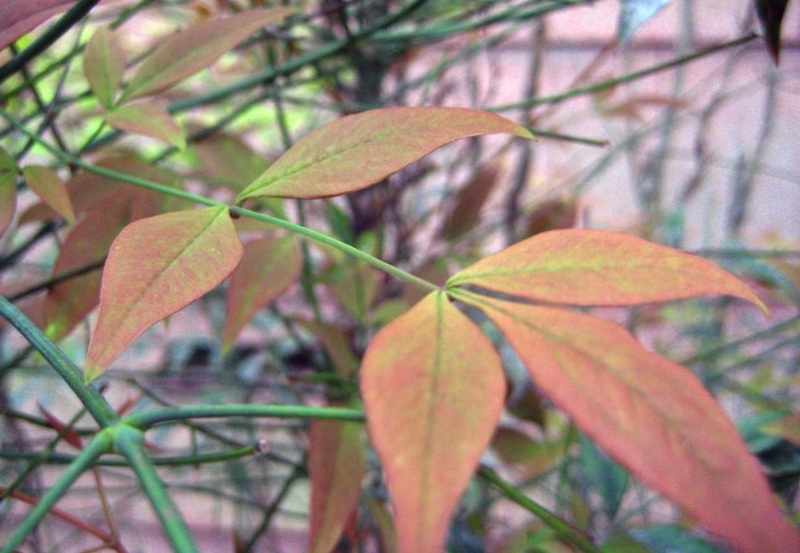 This broadleaf evergreen is the lone member of the genus Nandina. Plants tend to grow as upright shrubs and have attractive compound leaves that turn purple in the winter. These are carried on upright stems reminiscent of Bamboo. It is an attractive plant throughout most of the year: flowering in spring, with berries in the winter. Ideally grow in mass as this improves fruiting results. It is known to contain toxins that may be dangerous to animals, and is thus often grown in as a deer or rabbit resistant plant. It is also drought tolerant, and can be grown in areas of heavy shade. Should you grow this plant? As most parts of the plant are poisonous it is not recommended to grow this plant if you have pets (especially cats) or live close to grazing animals. The plant is also known to be toxic to birds such as the waxwing that tends to eat them in mass. This plant is classed as an invasive species in some parts of the USA: notably North Carolina, Florida, Georgia, Maryland, and Tennessee. As with all plants that are not from your local area you should check carefully whether it is right to grow a plant in your area; this will very much depend on the local growth conditions. Flower Details: Showy. Panicles. White. Star-shaped. Small. Leaf Foliage Details: Ornamental. Pinnate with lance shaped leaflets. Green turning red to purple in autumn and winter. Best Light Conditions: Partial shade to full sunlight. Afternoon shade for best results. Can tolerate heavy shade. Suitable Soil Types: Average. Rich and Humus for best results. Soil Moisture: Good drainage. Medium moisture but fairly drought tolerant. 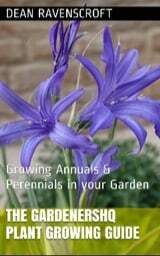 Sowing, planting, and Propagation: Seeds should be sown into a sheltered part of the garden that gets afternoon sun. Propagate from semi-hardwood cuttings using season's growth in the autumn. Care: Low to Medium maintenance. Water regularly. Prune in mid to late spring to remove unhealthy and damaged tissue and to improve flowering. Provide winter mulch in colder areas. Best used for: Bringing colour to the garden in the autumn and winter. Grow in mass for best results. Hedging. Zen gardens. Gateways. Flower borders. Courtyards. Containers. Miscellaneous : Named from the Japanese name: Nanten.